Following on from the Bar Social application last week their neighbours, Sugar Cane at 247-249 Lavender Hill have also applied to extend their hours. Their application is not quite as late as Bar Social’s, they are only applying to remain open until midnight on Sundays to Thursdays, but looking for the same 2am close on Fridays and Saturdays. 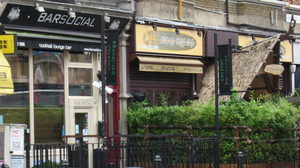 However, they are, like Bar Social, hoping to remove restrictions on use of their outside area to the front of the bar so smokers can use it all night. Given that smoking is often social, this may be a problem for neighbours who will potentially be disturbed by late night conversations. The council’s licensing pages provide more information on licensing in Wandsworth. As usual I’m publishing this for information.